A view of Hartlepool (Stranton) Cemetery looking towards the Chapel. Three of the Yorkshire Regiment graves are in this area, close to the Chapel. 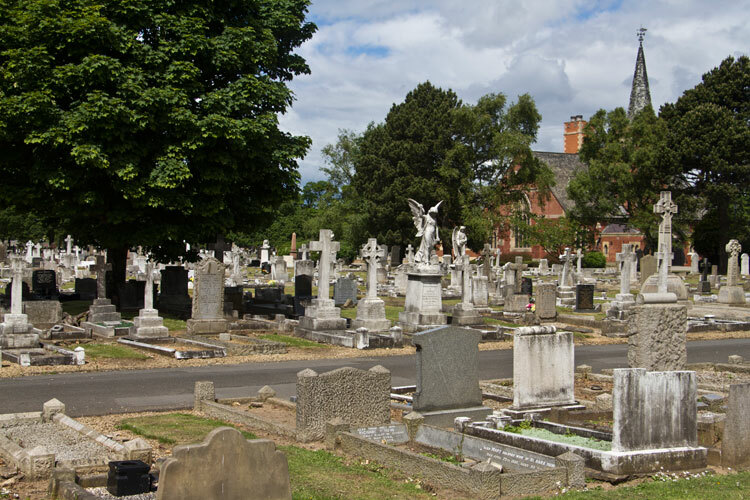 The cemetery, which covers over 30 acres, contains war graves of both world wars, the 1914-1918 burials being scattered in various parts of the cemetery. 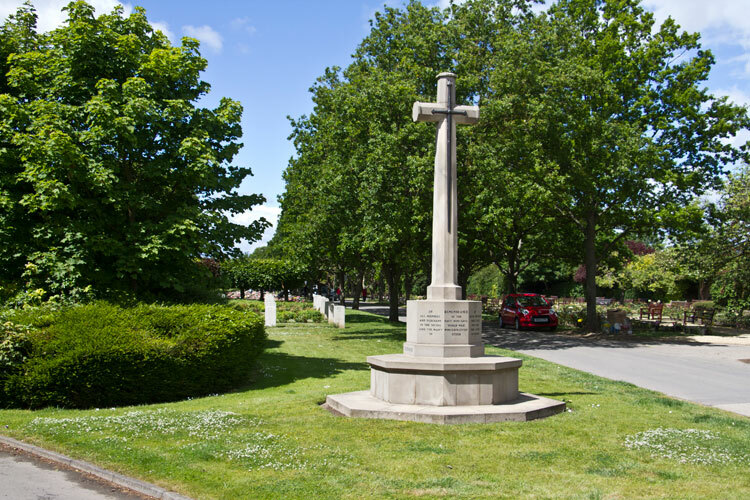 After the 1914-1918 War, a Cross of Sacrifice was erected inside the main entrance to the cemetery. 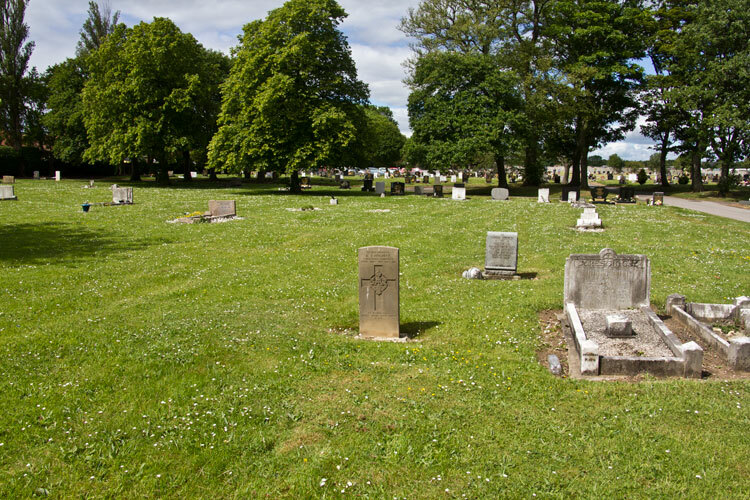 During the early months of the 1939-1945 War, a piece of ground was set aside by the local authorities for service war burials, which became the War Graves Plot (all of the burials in this plot are for the Second World War). The site selected is immediately behind the Cross of Sacrifice, on the eastern side of the cemetery near the entrance. 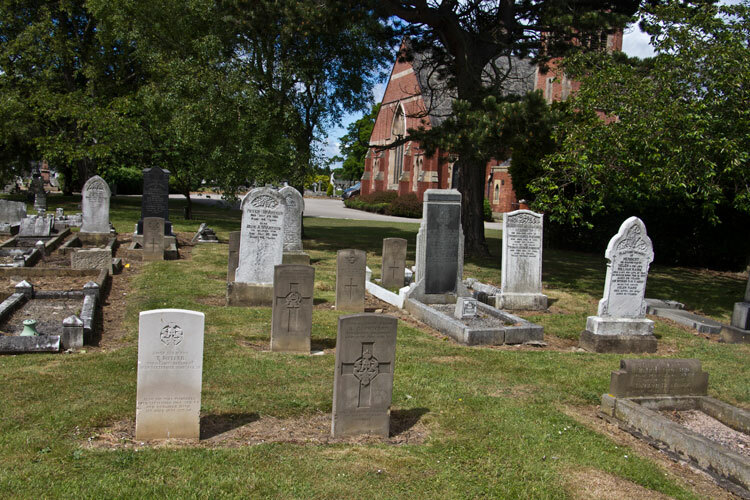 In total, there are 43 Commonwealth casualties of the 1914-1918 war and 132 of the 1939-1945 war buried in this cemetery. 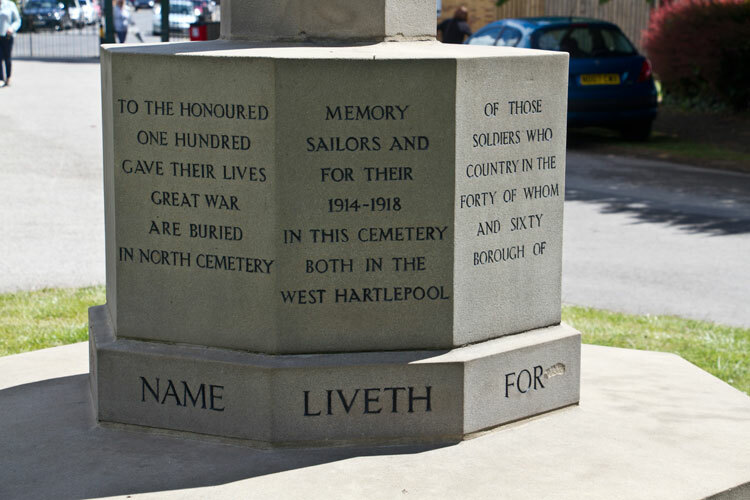 In the War Graves Plot, a Screen Wall bears the names of 80 soldiers and seamen buried in Hartlepool North Cemetery whose graves can no longer be maintained, 76 being of the 1914-1918 war and 4 of the 1939-1945 war. 4 men of the Yorkshire Regiment are buried in Hartlepool (Stranton) Cemetery. 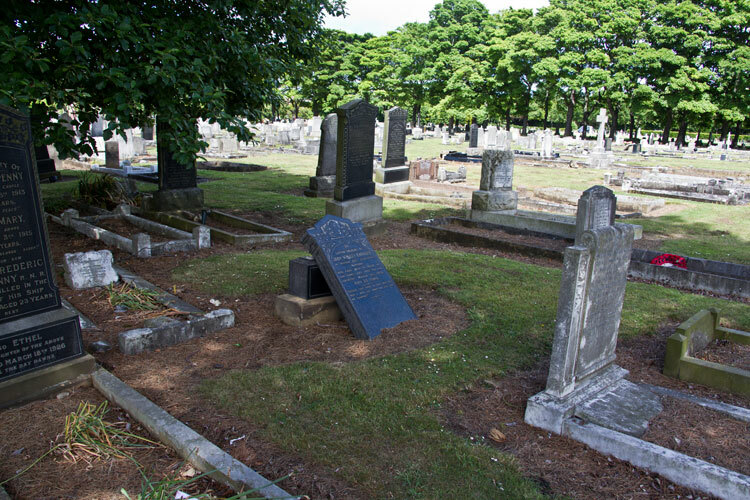 For larger views of the individual headstones, which open in a new window, select ojne of the smaller images below. 3rd Battalion Yorkshire Regiment. Husband of Margaret Elizabeth Butler, of 14, Bangor St., West Hartlepool. Died 28 September 1918. Aged 38. Born Sunderland, Enlisted West Hartlepool. Notice taken from the 'Northern Daily Mail' in the former town of West Hartlepool. 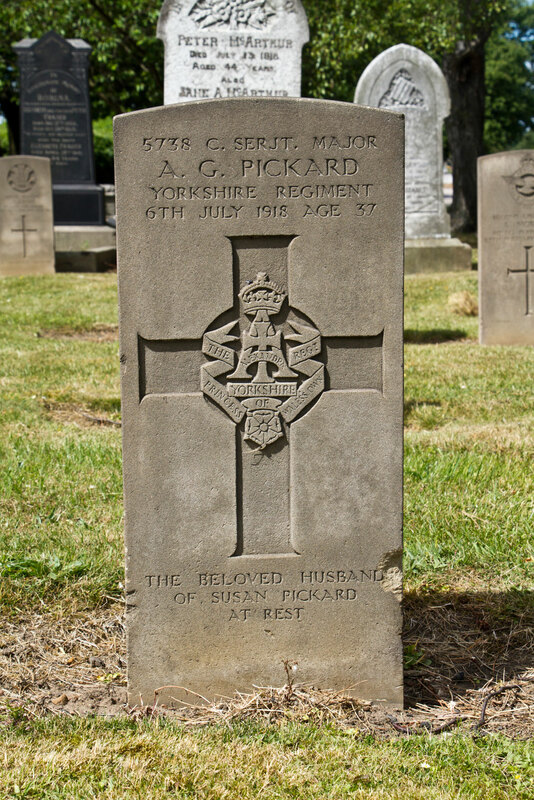 On the 28th inst at the V A D Hospital, Sgt Thomas Butler, Yorkshire Regiment, dearly beloved husband of Margaret Butler. Cortege to leave 14 Bangor Street, Wednesday at 2pm. All friends please accept this (the only) intimation. Deeply regretted. 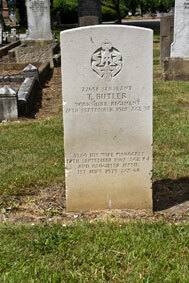 In memory of Sgt Thomas Butler, who died September 28 1918. Ever remembered by his loving wife, son, and daughter. In memory of Sgt Thomas Butler, who died September 28 1918. Ever remembered by his mother in law, sisters, and brothers. 1ST JUNE 1973 AGED 68"
Private D J Hegarty. 3/8369. Yorkshire Regiment. Husband of Margaret Hegarty, of 1, Portland St., West Hartlepool. Died 29 July 1919. Aged 49. (*) Note Regimental Number adjoins that of F R Allinson, above. Private Dan Hegarty, 1st Yorks Regt, age 49 years. Deeply missed by his sorrowing wife and children. Friends please accept this (the only) intimation. 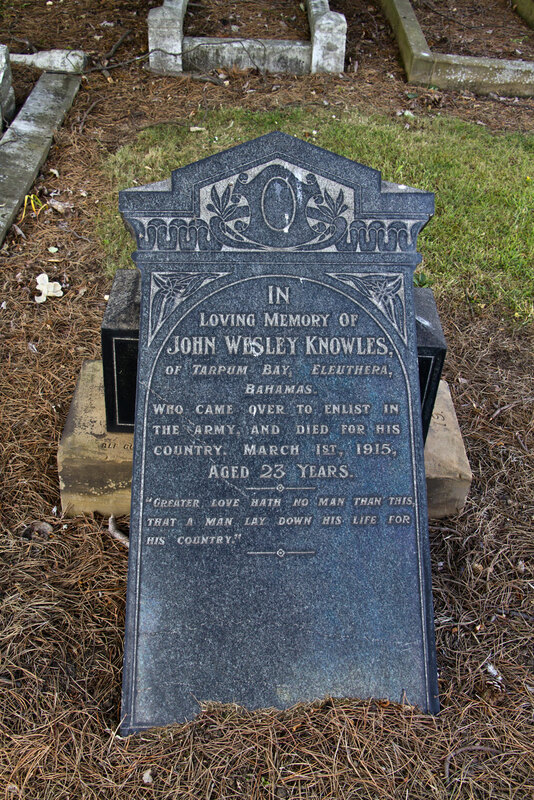 Private John Wesley Knowles. 18743. 3rd Battalion Yorkshire Regiment. Son of J. J. W. and Adelaide Knowles, of Tarpum Bay, Eleuthera, Bahamas B.W.I. 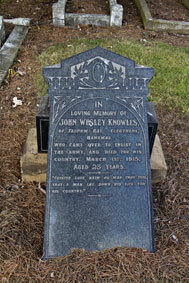 Died 2 March 1915. Aged 23. Born Bahamas (West Indies), Enlisted Scarborough, Resided Lastingham / Sinnington. from pneumonia and meningitis. Funeral at Westbourne Methodist Church, Thursday March 4th at 3 p.m.
CSM Arthur George Pickard. 5738. 3rd Battalion Yorkshire Regiment. Husband of Susan Pickard, of 15, Thornville Rd., West Hartlepool. 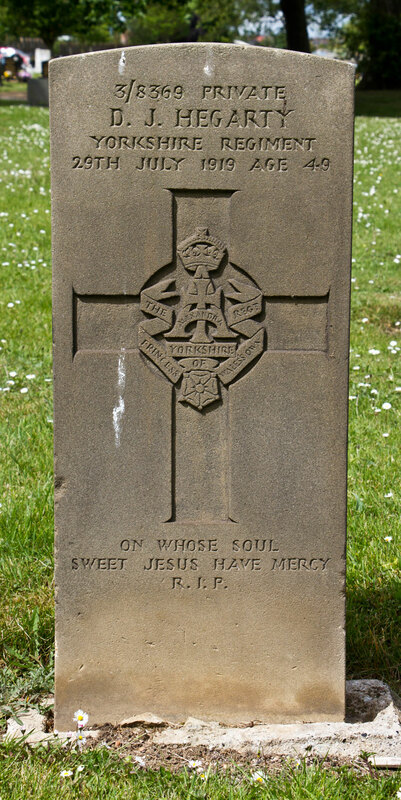 Died 6 July 1918. Aged 37. Born Brixton (London), Enlisted London, Resided West Hartlepool. In memory of Company Sergeant Major A G Pickard, the dearly beloved husband of Susan Pickard, who died 6 July 1918. Ever remembered by his loving wife and sons. That that smile hides all the while".